Walter Tucker was baptised at All Saints Church, Liddington, Wiltshire, England 18 Nov 1888. Walter Tucker was baptised 18th November 1888 at All Saints Church, Liddington, Wiltshire, Entland.This is a copy of the All Saints Church, Parish Records, Baptisms, page 30, 1888 (1833-1916). All Saints church is in the small village of Liddington to the south east of Swindon. The church started life in the 13th century and is a part of the Church of England. The church sits in the centre of a well maintained churchyard. Walter sailed from the port of London, England aboard the RMS Otway on 29 Aug 1913. He arrived at Port Adelaide on 04 Oct 1913. Names and Descriptions of British passengers embarked on RMS Otway at the Port of London on 29th August 1913 bound for Australia. Walter Tucker is listed under contract ticket number 43 and shows him listed as disembarking at Adelaide South Australia. Postcard photo image of the Orient Line ship RMS Otway. At time of death, Death certificate states his occupation as "Railway Worker"
Walter died on 16 June 1955 and his death Notice was published in the Sydney Morning herald on 17 June 1955 on Page 20. 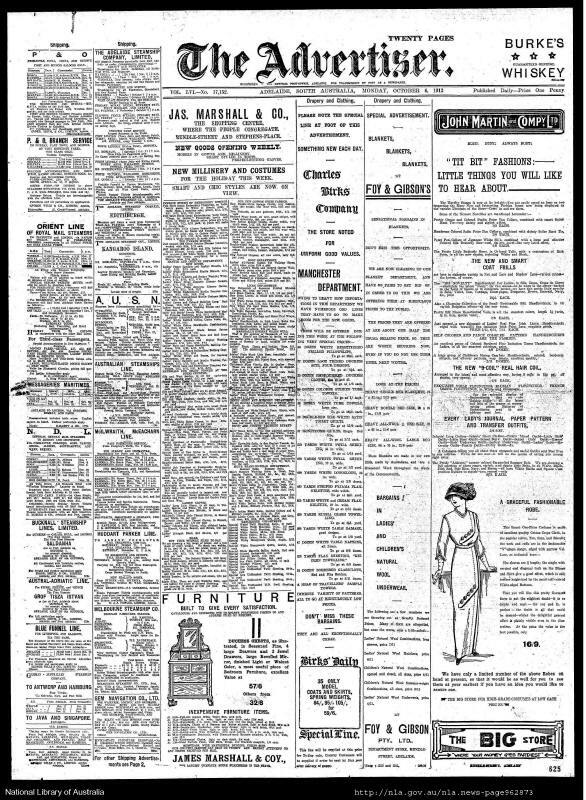 Walters death notice was published in the Sydney Morning Herald on 18 Jun 1955. This is the final resting place of Walter and Hilda Tucker. They are Buried at Liverpool Catholic Cemetery, McLean Street, Liverpool, New South Wales, Australia. Walter is buried at the Liverpool, New South Wales, Catholic Cemetery on 20 June 1955 he was aged 66. The grave is located in Section 16 Grave 241. Hilda is buried beside him on 20 Nov 1973 aged 80. Lived in Swindon UK about 90 miles from London . He was youngest Child of John and Elizabeth Tucker. He had eight brothers and sisters. He was the only one that migrated to Australia, but one other brother migrated to Canada. Son of John and Elizabeth Tucker - This photo was taken around the time he and Hilda were married. 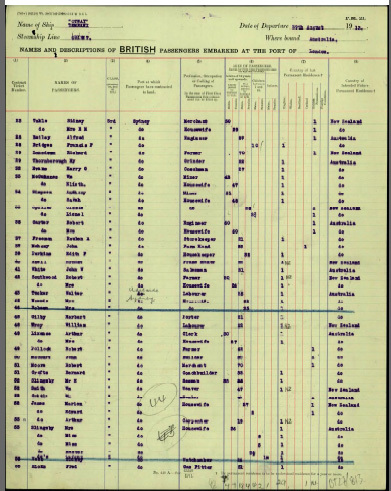 Elizabeth Tucker (nee Waite), William John Tucker, Florence Ellen Tucker, Charles Tucker, Ernest Tucker and Walter Tucker all appear on this census form. [S81] General Register Office England (Reliability: 2). [S344] Findmypast (Reliability: 3), 18 Nov 1888. See attached Wiltshire Baptisms index 1530-1917 Transcription for Walter Tucker. [S83] Britsh Military Service Records - Army (Reliability: 3). [S4] NSW BDM, New South Wales Government (Reliability: 2), 1955. [S155] Catholic Cemeteries & Crematoria (Reliability: 2), 20 Jun 1955. [S4] NSW BDM, New South Wales Government (Reliability: 1), 1955. Walter tucker, Service date 20 June 1955, Date of death 16 june55, age 66 Gender M, Register No. 1657, Burial type Burial, Location: Section 16 Grave 241.